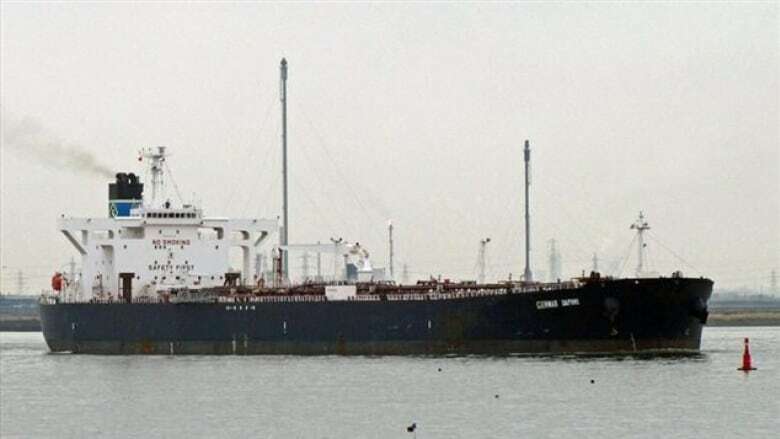 A supertanker on its way to collect oilsands bitumen from a port in the St. Lawrence River is being held by Transport Canada because of a problem with the emergency fire equipment on board. The Genmar Daphne — a massive, 240-metre-long vessel — was on its way to a port at Sorel-Tracy, Que., before it was anchored at Les Escoumins by Transport Canada. The government agency identified a problem with the emergency fire pump on the ship. "The vessel will be authorized to resume its route only when the repairs have been carried out to the satisfaction of Transport Canada," reads a news release issued by the Transport Ministry. The Genmar Daphne is one of 20 to 30 supertankers expected to travel the St. Lawrence River to pick up oilsands bitumen transported to the area by train. Sorel-Tracy's mayor, Serge Péloquin, says it's a good sign that Transport Canada is reacting to the technical problems on the Genmar Daphne, But he says more needs to be done to make sure these ships are safe. "It's good news that this was caught," said Péloquin. "But will Transport Canada catch all of these issues? I hope so, but I doubt it." He says Transport Canada's vigilance is a good first step to establishing confidence in the system. 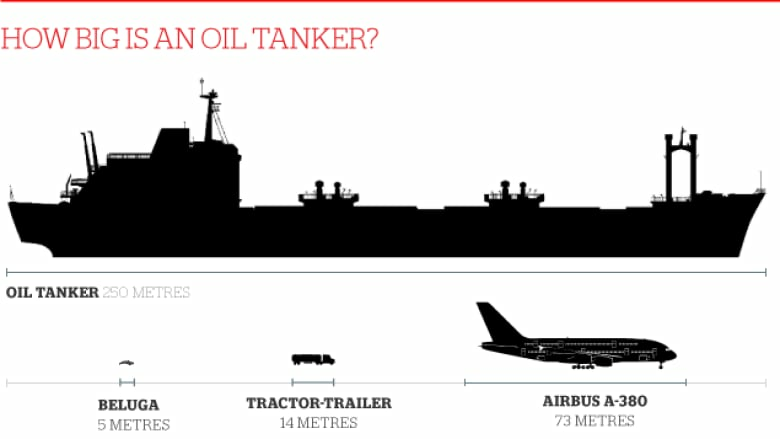 A year ago, ships wider than 32 metres weren’t allowed in that part of the St. Lawrence River, but the federal government increased the allowable size in December 2013. The oil tanker flies the flag of the Marshall Islands, a North Pacific nation. It arrived in Les Escoumins — across the St. Lawrence from Rimouski — on Oct. 12. In a statement, Suncor says the ships are subject to inspections by both Transport Canada and Suncor. It says Suncor found the problem during an internal investigation, and signalled the issue to Transport Canada as part of the requirements of travelling in Canadian waters. The vessel has ordered new fire pump equipment which will be fitted and tested before receiving permission to enter the Sorel-Tracy port.